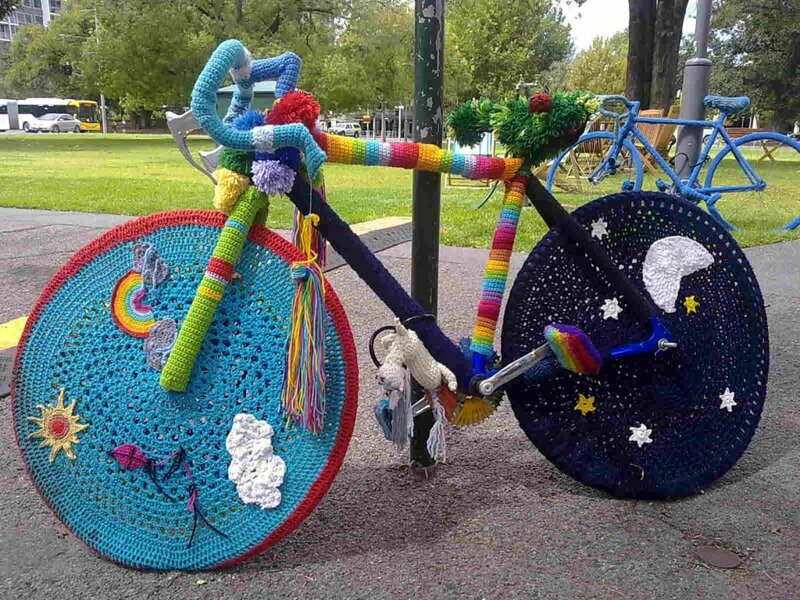 'Yarn Bombing' Is The New Graffiti, But Is That OK? Many people criticize yarnbombing ... and with good reason. If you’re a fan of street art, or art in general, you may have heard about a form of art known as “yarnbombing” — in which a street artists, instead of using spray paint or chalk, decorate objects with knitted yarn. What may seem as an initially innocent form of art has found much criticism among other artists as well as art fans in general. Many of these issues can be easily solved, however. There are many ways that yarn bombers can slightly alter their artistry to make sure that yarnbombing is enjoyed by more of the masses. One of the main issues with yarnbombing centers around the fact that often, it isn’t cleaned up. 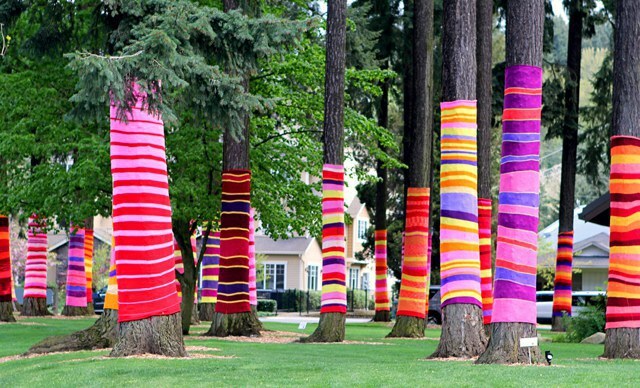 While yarn bombing can look bright and cheerful in the beginning, leaving out yarn to the elements will eventually lead to a soggy, faded mess. 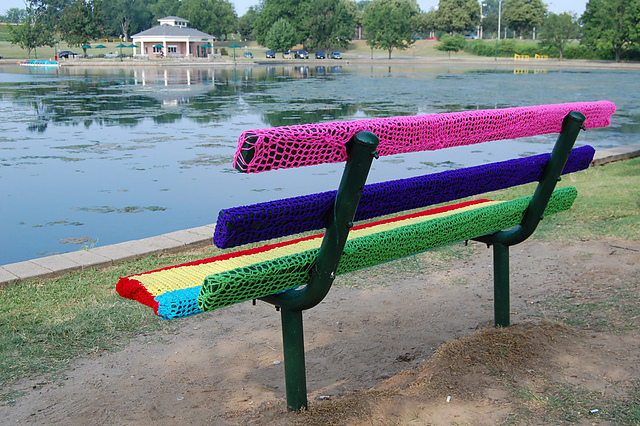 And due to the fact that these yarn bomb creations are often put up in public community spaces (on telephone poles, benches, bike racks, etc …), it causes a decrease in usefulness of these places. That is easily solvable. Artists, just remember to be responsible about your yarnbombing. Check in on how it is doing, and if you begin to see it decaying, take it down. It’s understandable that you may feel a little sad about taking it down (considering you did work hard to make it), but it’s important to realize that yarnbombing in a public setting always has to be temporary. 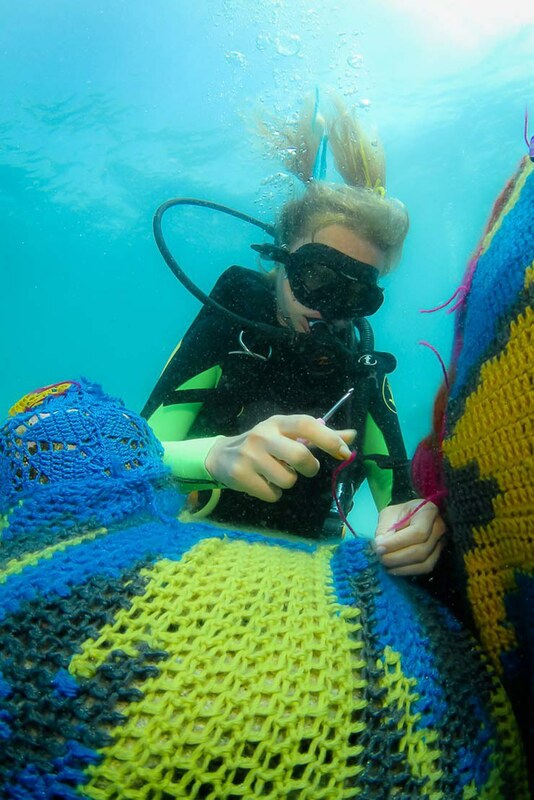 Olek, an NYC artist, yarnbombing the Cancun Underwater Museum in order to "save the sea"-- a stunt that was not looked upon favorably. Trees are often what people are concerned with. I’ve heard concerns on both side. I’ve had an arborist tell me that as long as knitting on a tree didn’t restrict a tree’s growth or sap production, it’s fine. I’ve had another scientist tell me that it could eventually hamper the tree’s growth or attract insects who would want to kill the tree. Some yarn bombers take it upon themselves to remove knitting when it starts to look old; others leave it up to chance and weather. Natural fibers droop and fade, synthetics look good longer but essentially never biodegrade. If you live in a rainy climate, like I do, things will rot. There isn’t a perfect answer to this question, however there are several ways one can attempt to keep their damage to a minimum. 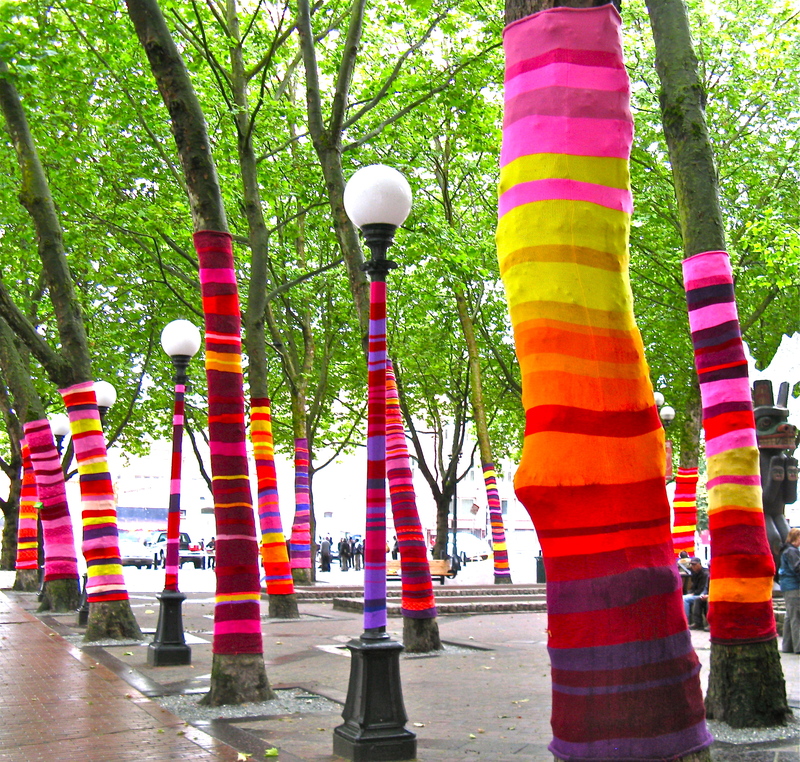 First, when yarnbombing trees, it is highly suggested not to use acrylic yarn, which is a synthetic fiber made of plastic. In these cases, the yarn isn’t biodegradable and is incredibly unhealthy for the tree. Many yarn enthusiasts suggest using natural fiber if you do plan on yarmbombing trees. However, it is also important to note that having yarn that absorbs moisture could eventually bring harm to trees. The second important thing to make sure about is that you’re not harming any animal habitats while yarnbombing. Do as little damage as possible, and, as said above, make sure to be responsible about taking your yarn bombing down. People who criticize yarnbombing for being wasteful make an excellent point; shouldn’t we be focusing on putting clothes on people before we put clothes on trees? Mary, a passionate yarnbomber, disagrees. 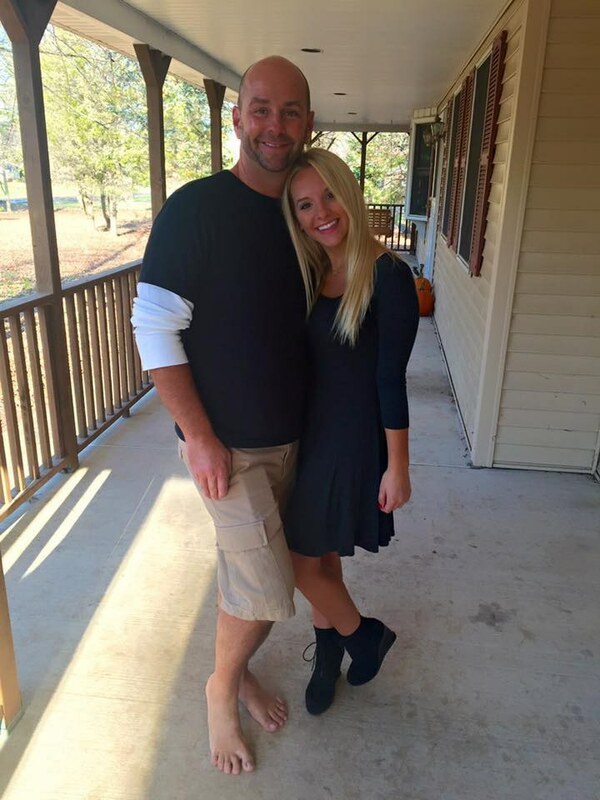 Some believe that yarmbombing and helping those in need aren’t mutually exclusive actions. While that may be true for some yarmbombers, one can be sure it isn’t a notion held by every single one out there. However, one should realize that yarnbombing is a form of art, and artists are not obligated to constantly donating their work. If you are planning on yarmbombing, you should definitely initially think about the cost of your work, and consider whether or not that money can go to something better. 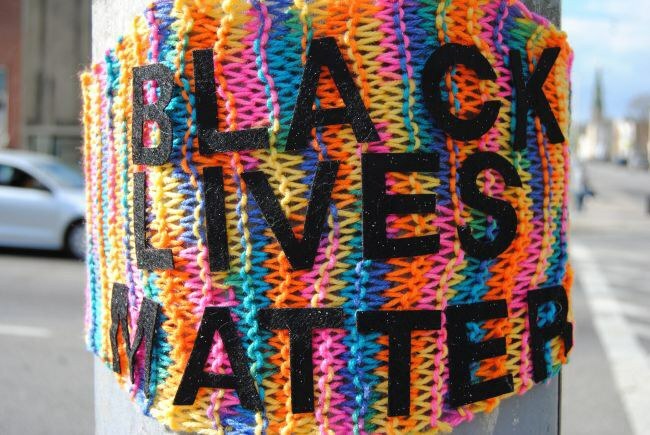 An instance of yarnbombing used for activism. Yarnbombing can be a fun activity, as long as you’re conscious about what you’re doing and how it affects the world around you. If you aren’t ready for that sort of commitment or pressure on your back, it may be better to begin yarnbombing on your own property, and work from there.